Try it and You May! 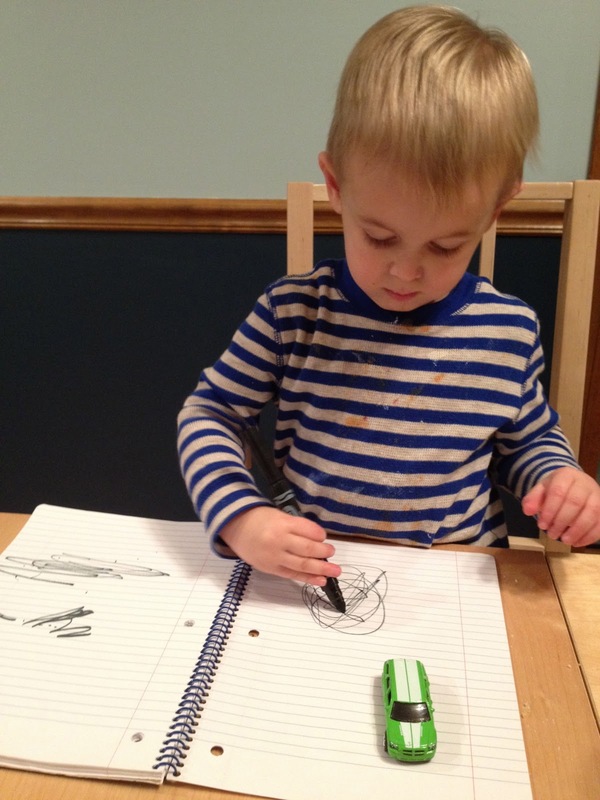 : Do You Nurture Your Child's Inner Artist? 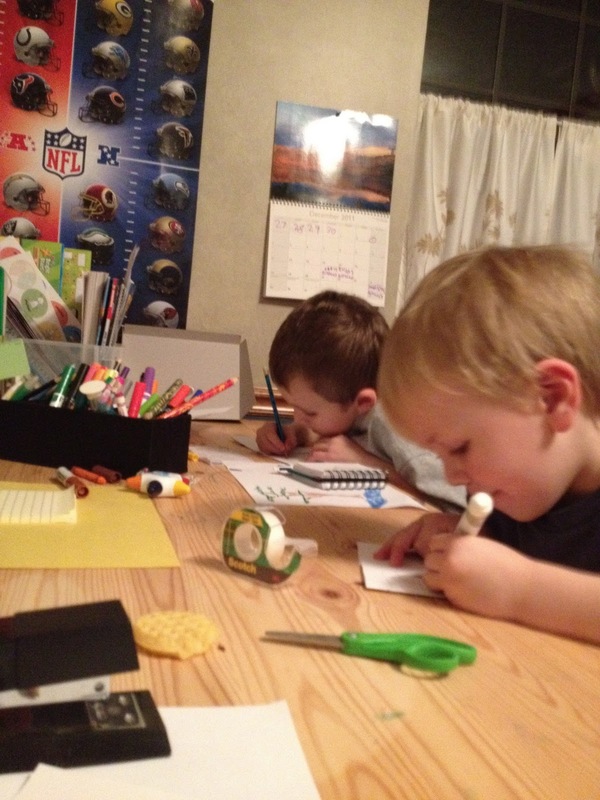 Do You Nurture Your Child's Inner Artist? Tapping into his inner toon. 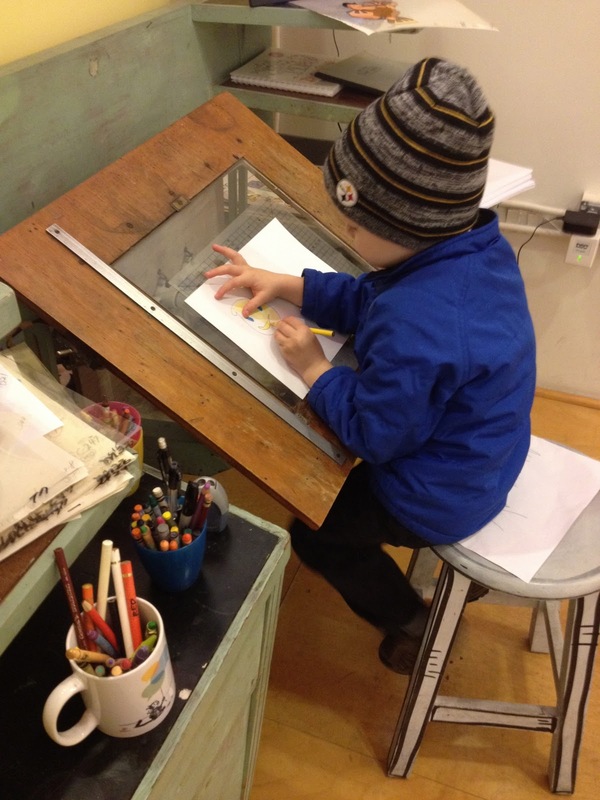 Would you love it if your child grew up to be an artist? My four year old said when he grows up, he wants "to be an artist who draws Transformers like mom does, for his kids." If you read my blog, you might understand some of the guilt I felt when I heard that. Aside from my laziness, we do have a love of art in our family. My husband has an art studio degree and the first Christmas present he ever gave me was an acrylic landscape he painted. My sister-in-law is a professional artist of talent. If you've seen my donut, you've seen some of her excellent work. 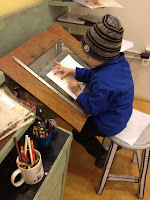 My four year is no slouch in the art department, either. In the summer of 2011, his mosaic art project of a rainbow lollipop was selected for the regional headquarters office of our daycare. He received a lovely certificate and often points with pride at his special "award." In September 2011, I took an art class from North Hills Art Center and tried to tap into my right brain. The teacher said my work was very realist, which probably means my right brain pulsed feebly once or twice while my left brain squished it back down in my skull. But I had a great conversation with another art instructor, Ruthann, who has over twenty years experience teaching children art. She gave me some great tips to nurture the artist in my kids. ...Don't correct their work. Ruthann remembered an art teacher from her youth would use an orange crayon to mark up her creations. To this day, you can hear the frustration in her voice when she mentions it, and it's been many, many years. ...Coloring books are OK! They are not stifling your child's creativity. Feel free to use coloring books, but if you want to broaden their skill set or perspective a bit, suggest that they use patterns or designs to in the fill pre-drawn areas. Ruthann also encouraged me to show my children how to add interesting features to backgrounds. My six year old loves to add volcanoes behind dinosaurs now. 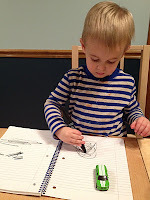 The blog "Quirky Momma" shared a post recently suggesting other creative materials to use with coloring book images. I really loved the textured ones, and I think Ruthann would, too!